Hello everyone, and thanks for checking out this interview. 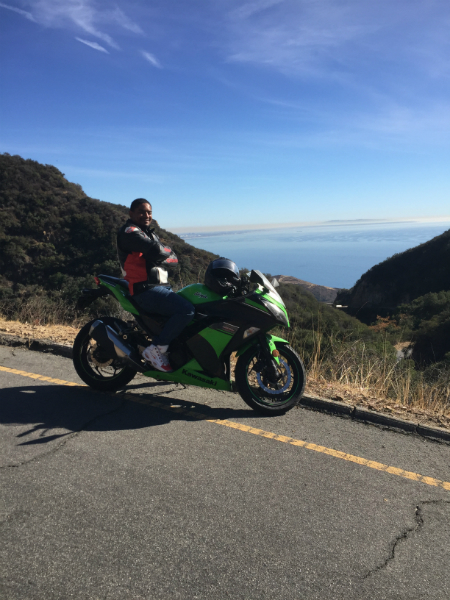 I recently had the pleasure of sitting down with a relatively new rider, and discussing his experience as a rider in the greater Los Angeles area. So join me, and get to know Dominic Henderson. T: How long have you been riding? D: I’ve been riding since March of 2017. T: Okay, great. You’re coming up on your first full year. What bike are you riding? D: I’m riding a Ninja 300. T: How are you finding that bike? 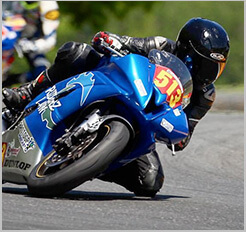 I had a Ninja 250 when I started. D: It’s good, even though I sometimes could use more power, I love it. I’m getting used to the whole gist of riding and the skills needed. T: You say you could use more power. In what instances do you feel you need more power? D: On the freeway passing cars. Other than that I still need to learn the canyons. So, I don’t need too much power just yet, but on the freeway it would be helpful. T: What part of LA do you mostly commute in? D: I’ve been all over LA. Yesterday, I drove out to Compton for a hair cut. T: Compton for a hair cut? Where do you live? T: You drive all the way to Compton for a haircut? D: Yeah, I don’t get a hair cut out here. I tried it my first couple years of college and I just couldn’t transition to another barber. I gotta stick to the grain. So, every two weeks I drive out. But it depends if I have time to go get a cut since I’m in school and I work every day. Thanks so much for diving into this interview with Dominic, there’s plenty more to come.